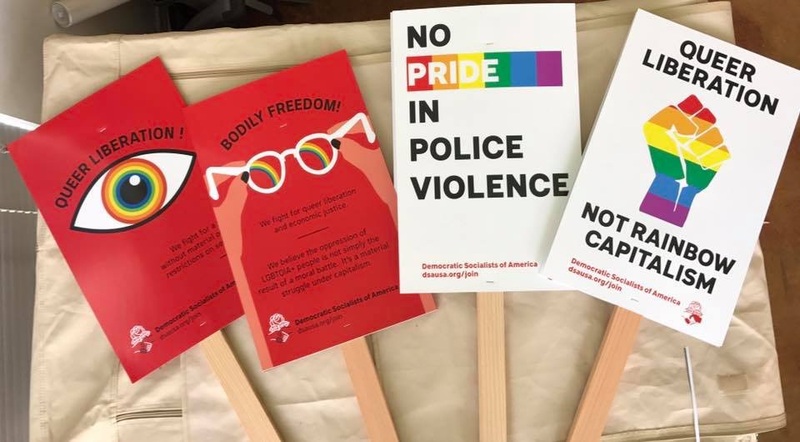 On Sunday, June 25, DSA SF marched a contingent in the SF Pride parade, calling for queer liberation and economic justice rather than rainbow capitalism and police violence. With signs, chants, and zines, DSA demonstrated to the audience that socialists are in solidarity in the fight to end violence and oppression and for access to healthcare and economic justice for the of queer people. By recognizing the protests and struggles of queer and marginalized people in the past, DSA recognized that right are not given, they are won.